5. Accounting in a Bookkeeping Company - What Really Happens? 5. Accounting in a Bookkeeping Company – What Really Happens? In Episode 5 of The Bean Ninjas Podcast, Meryl Johnston, Co-founder of Bean Ninjas, takes me into her company’s accounting department to reveal their processes, reporting, and internal controls. Many of us have the story of the plumber with the leaky taps… but at Bean Ninjas there are no leaky taps. Bean Ninjas prides itself on accuracy, compliance, risk mitigation and timeliness and holds itself to the highest standard. Meryl has instilled a culture of best practice. Accordingly, the accounting department must lead the way for this bookkeeping service business. 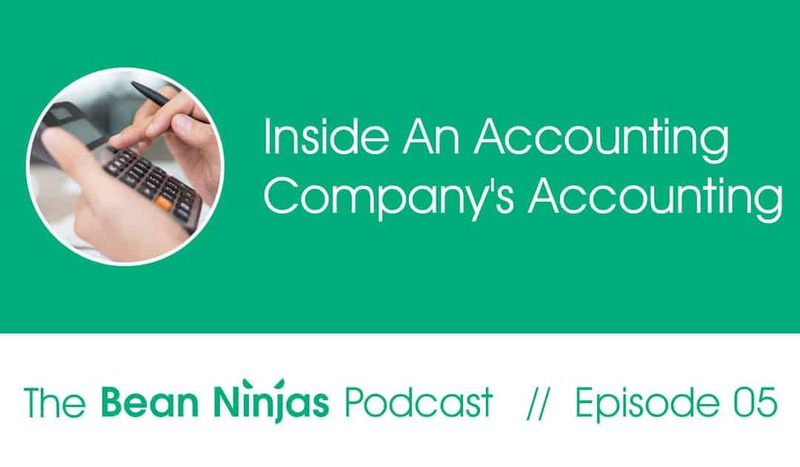 In this episode, we learn all about Bean Ninjas’ accounting department, including its processes and reporting metrics. Meryl also discusses how she set up her own wage as CEO and how that helped reduce her personal risk as a startup CEO. Lastly, we discuss internal controls to prevent fraud or other misuse of information. Remember to listen weekly to learn more of Meryl’s tips for growing your business fast. Bean Ninjas is a 100% remote and international company, with employees and contractors located across 6 different countries and just as many time zones. How did they find and retain the right team members? Join us next week to find out!